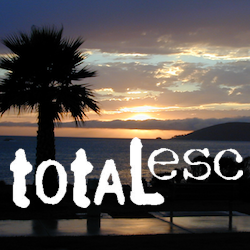 Since SoCal is more of a desert terrain, big water in California can be found elsewhere throughout the state. 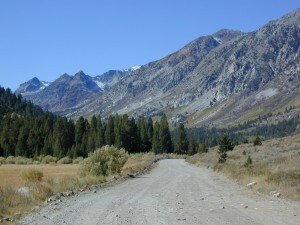 Natural waterways flow primarily from NorCal and from the backbone of the west coast, the Sierra Nevada mountain range. Determining the region to explore is a first step, then narrowing it down to several possible camp spots after you’ve found a good printed map (a hard copy, non digital, non electricity, the old fashioned kind). 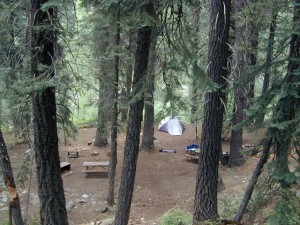 California Rivers are popular destinations for the outdoor vacationer. The most desirable streams or creeks in California flow into a reservoir, not out of. The wilder scenery above the lake, deeper up the canyons are the secluded places we seek. Some accessed only by dirt back roads. 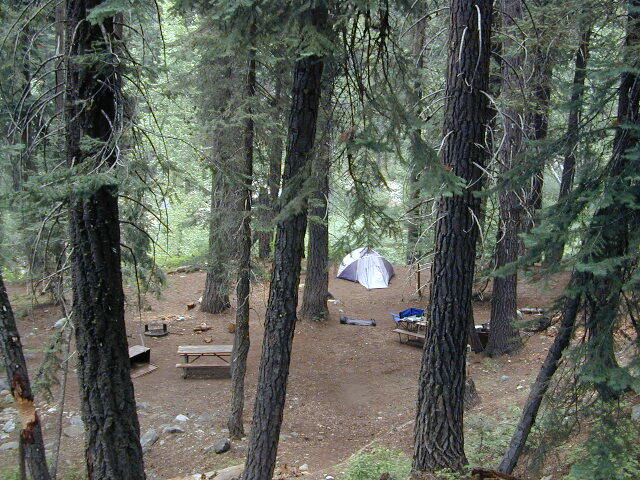 4×4 camps are commonly positioned near creeks. Wilderness trail heads can lead to even more privacy if you are willing to huff it. Topographic maps show more detail on terrain, elevation, trails, roads; Less colorful. – is your choice a main blue line? – does this one creek feed into another larger stream? – is it a creek that will be flowing strong? – how far from a paved road is it? Forest Service Back Roads are usually one lane dirt roads and have strange long numbers attached to them. Maybe signed, but don’t count on it. 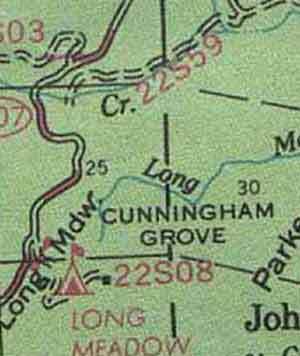 In the illustration: Look Road #22S59 is right along a creek, and maybe 22S08 has some water sources, but has a developed campground w/ possible fee. 22S59 is very likely to have some dispersed sites along it. You always have options open when you have a good map; make your back up choices when planning your destination. Have a few plan B roads chosen, just in case your first choice is too steep of a slope, or packed with RV families, or totally muddy and impassable with your vehicle. Spring snow melt is when the dirt roads are still closed (gated) and often quiet muddy. Some primitive camp sites may be best access with a 4-wheel drive, but each river or creek side camp spot is unique at different times of the year, due to the snow depth and land erosion process. For easy-going exploring purposes, small all-wheel-drive vehicles work well too, but clearance can be a limiting factor. You wouldn’t believe what passenger cars we see on the back roads of Baja. Almost anything goes anywhere, slowly, as long as it runs and rolls. last tip – mosquito, where? Screen room tents may appear unsightly, but those hungry, annoying mosquitoes don’t really care what flavor you are. Them lil suckers are abundant in areas with water, standing or still water, meadows, creek beds, especially active in the warmer summer months. Beat ’em before they hatch – camp in the springtime. By autumn their numbers seem to dwindle with the night time chilly temps, but make sure to come prepared for those colder nights.